A great artist will often provide many variations on a theme. 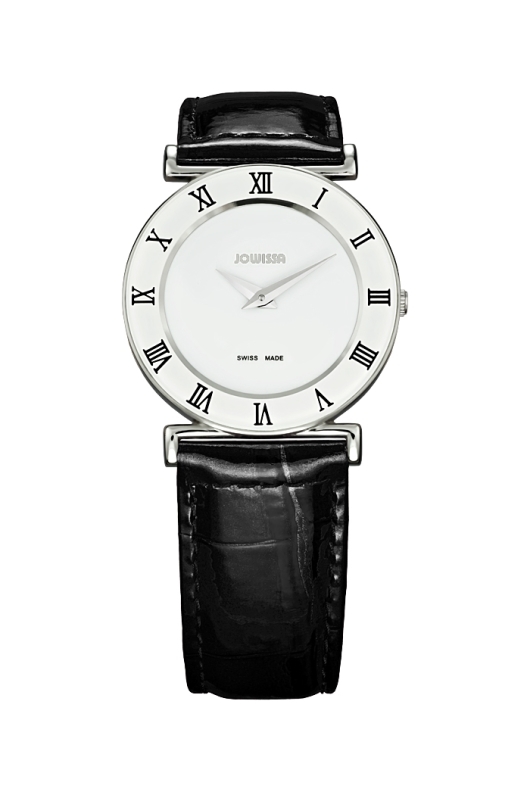 So will a great watchmaker. It is not uncommon for an artist or musician to explore many variations on a common theme. These nuanced variations can enhance, or totally change the mood the artist is trying to create. 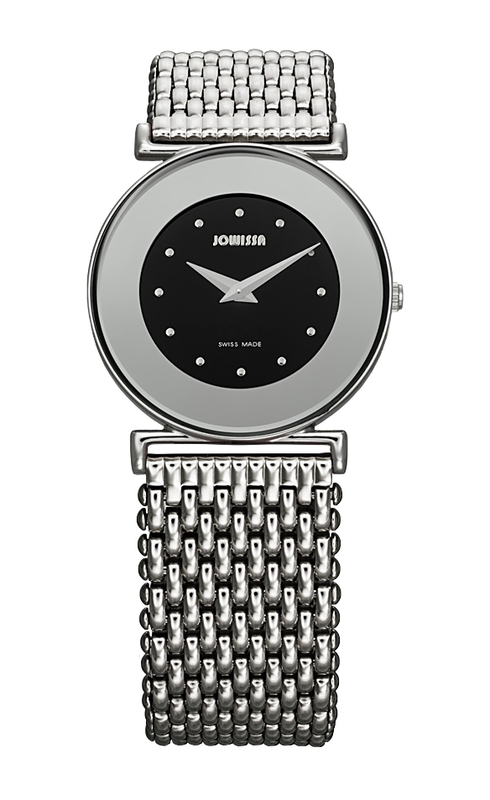 That’s exactly what the master craftsman at Jowissa have done with their imaginatively versatile Roma Collection. 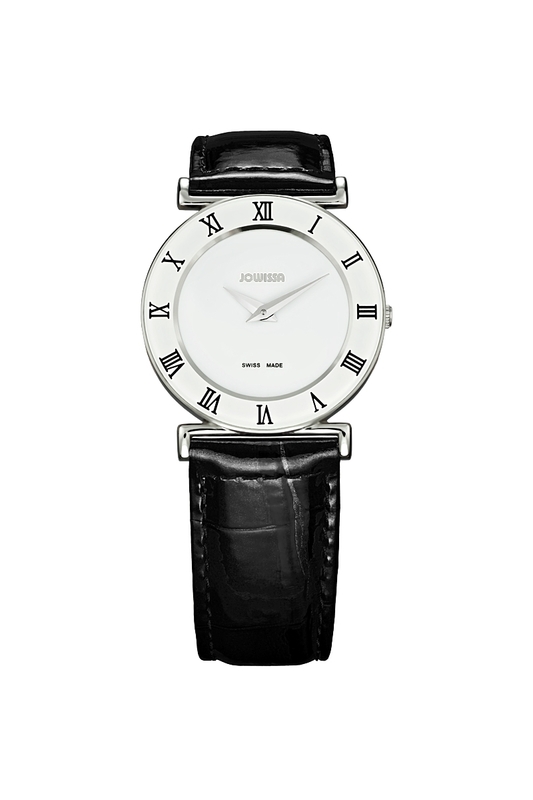 The elegantly simple Jowissa Roma is understated elegance at its very best. Available in sizes from 24 mm to 36 mm, these minimal masterpieces feature a broad palate of colors and finishes that could easily double as fine jewelry. 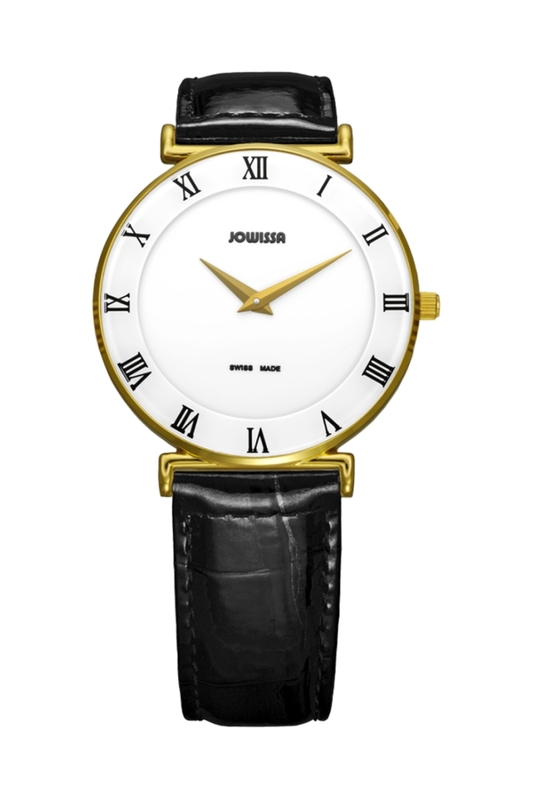 The beautiful two-hand configuration surrounds an elegant, unadorned dial with a slightly raised bezel that has been adorned with Roman numbers as indices. The JOWISSA Roma can be equipped with a luxurious alligator patterned calf band that complements the colorful dial, a beautiful stainless steel mesh band, or an innovative ceramic and steel bracelet. 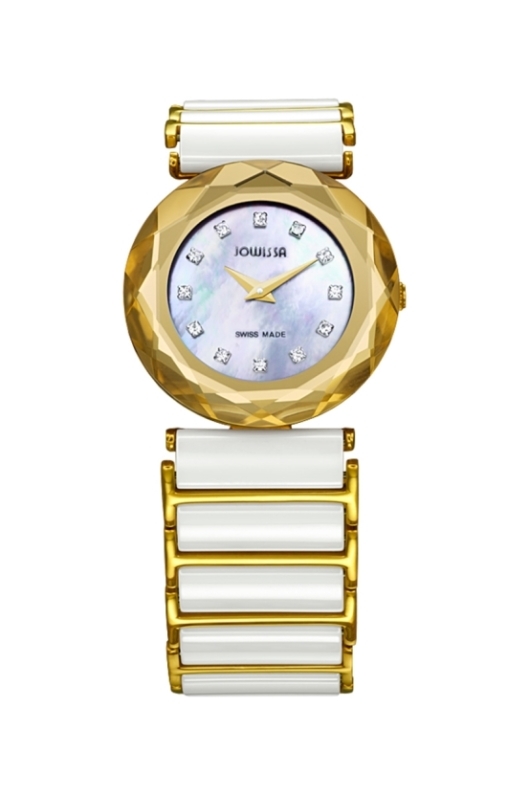 Certain models offer a choice of a lustrous mother of pearl dial as well. With a palate of choices this varied, the wearer becomes the artist, with the ability to choose the perfect way to accessorize an outfit or match a mood. 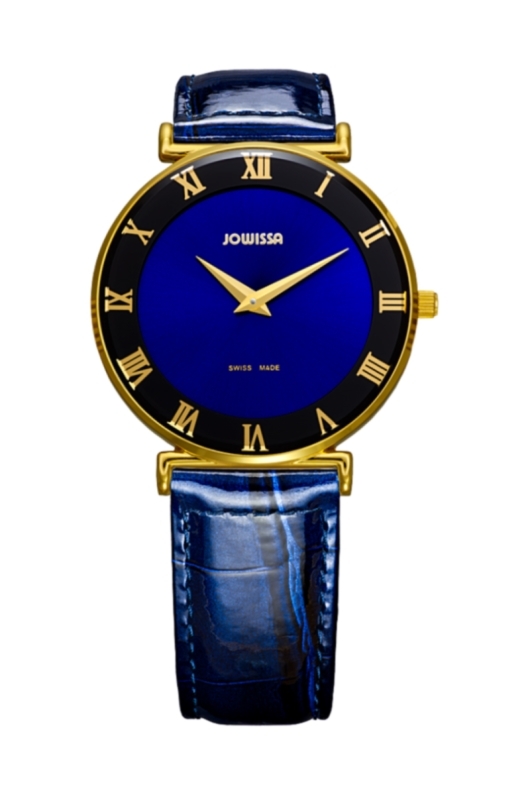 Jowissa timepieces have long been admired for their craftsmanship, as well as their unique artistry. 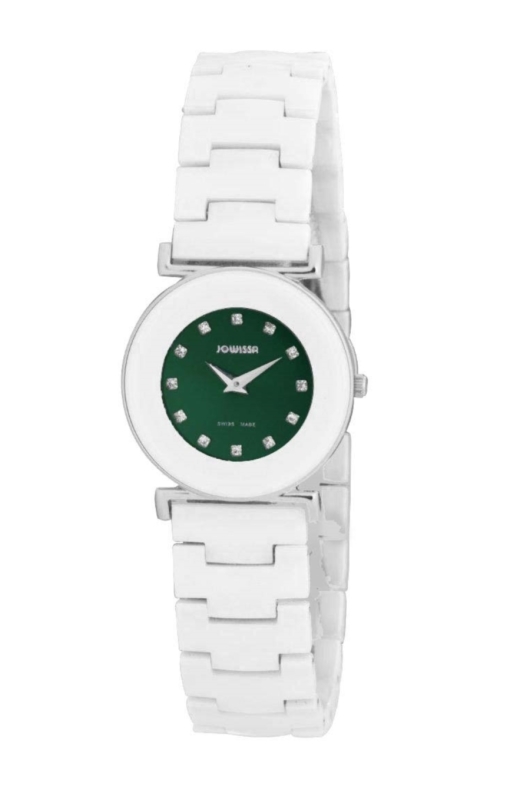 The Roma is powered by a precision Swiss made Ronda 762 quartz movement and is water resistant to 99 feet. 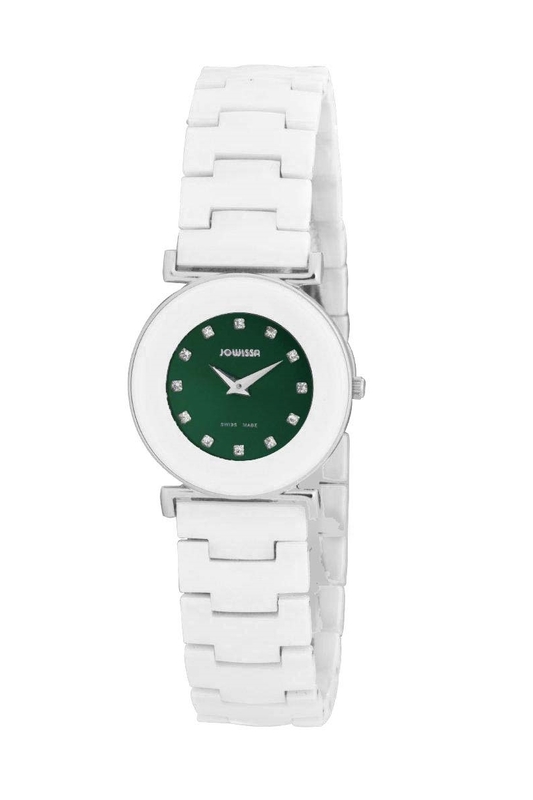 The elegant, minimal dial is protected by a durable mineral glass crystal, or on some models, an anti-reflective scratch resistant sapphire crystal. 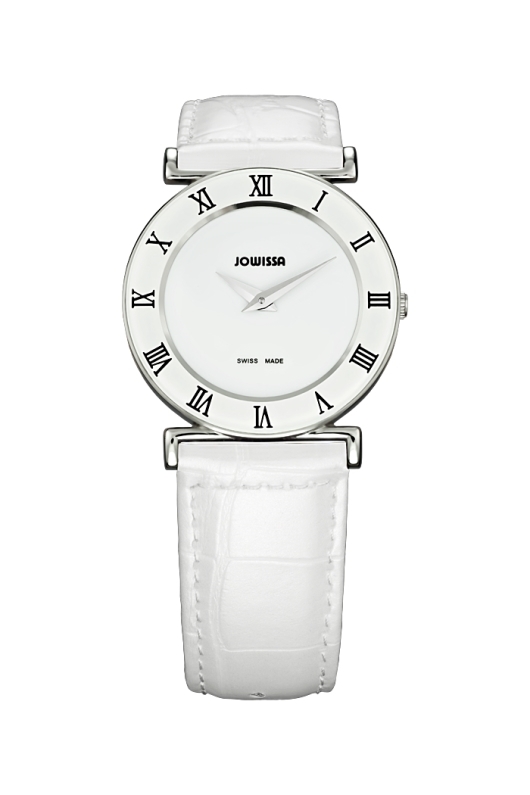 Like all Jowissa watches, the Roma represents an exceptional value. It’s almost impossible to find this level of style and craftsmanship at this price point. The Roma’s unique combination of affordability, style, and incredible variety makes it extremely tempting to acquire several. 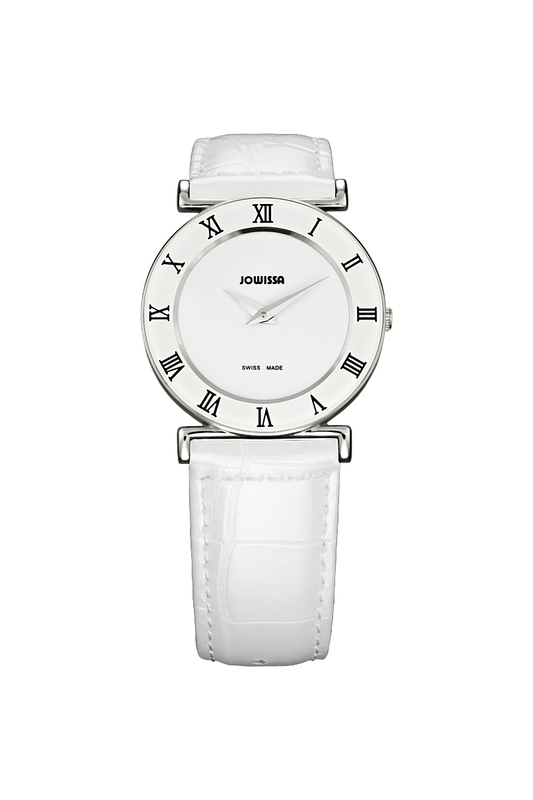 With dozens of variations to choose from, there is literally a Roma for every mood. 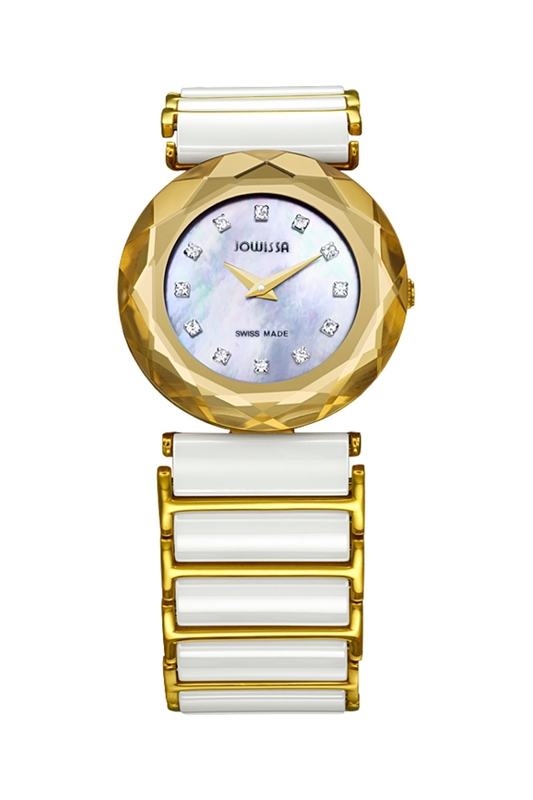 It doesn’t matter is you already have a collection of Jowissa watches, or if you’re discovering these artistic fashion accessories for the first time, you’re going to want a Jowissa Roma on your wrist. You don’t have to be loud or flashy to get noticed, you just have to let your own inner elegance shine. 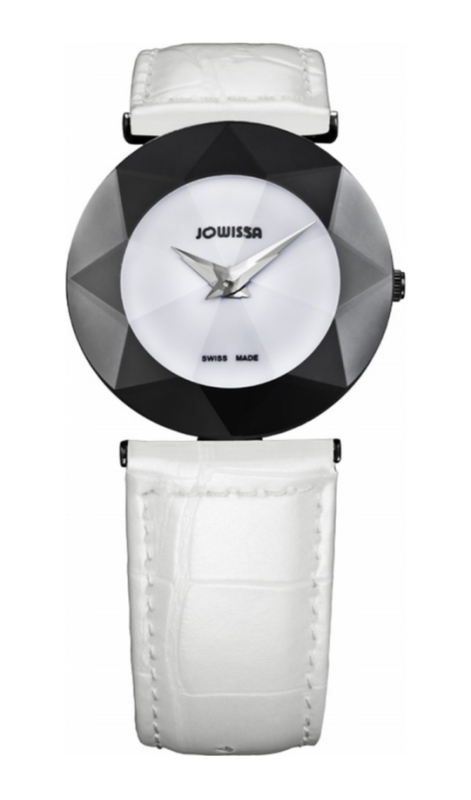 Jowissa makes it easy with the incredibly versatile Roma Collection. 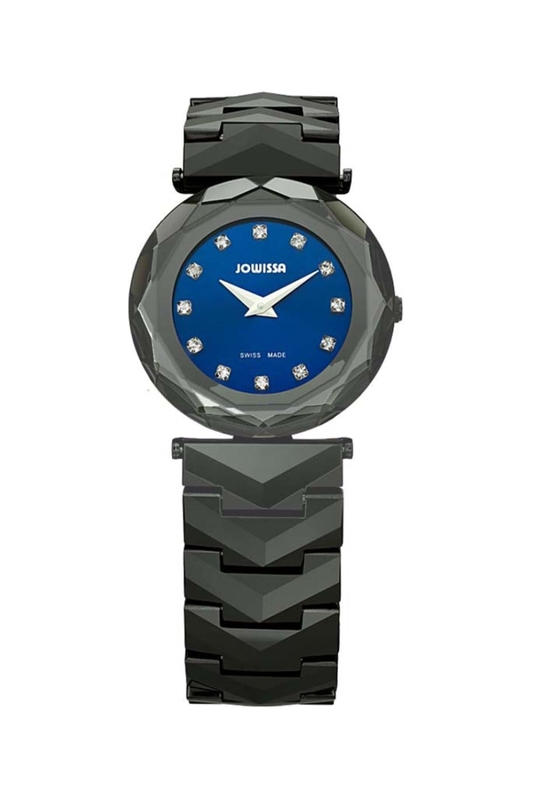 To reserve one of these understated jewels, contact your Jowissa watch dealer immediately. 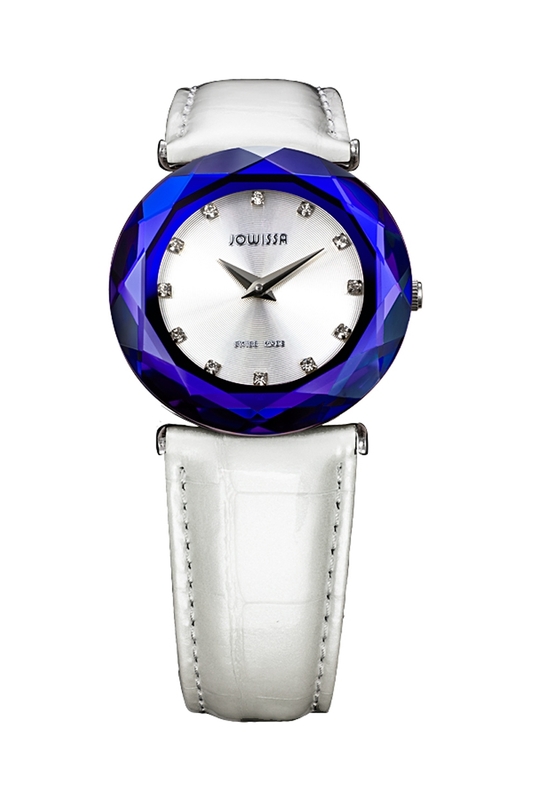 If anybody knows women’s watches, especially women’s jewelry watches, it’s JOWISSA. 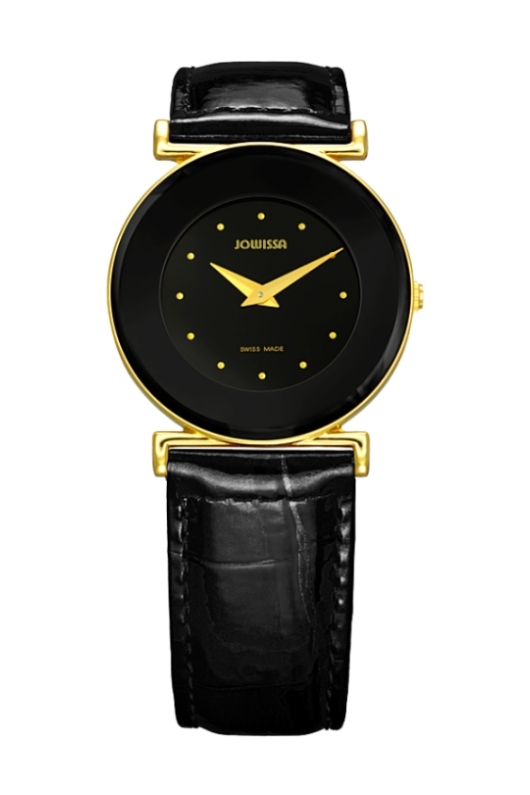 Founded in 1951 by certified watchmaker and entrepreneur Josef Wyss out of his home in Switzerland at the address Hasenmattsrasse 29, JOWISSA set up the mandate from the start to cater to women. Wyss believed that a high-quality Swiss jewelry watch didn’t have to break the bank in order to be a lovely accessory and cherished heirloom. Though Josef Wyss stepped down from the day-to-day running of JOWISSA in 1980, his son Leander Wyss took over and still helms the family-owned company. Leander has stayed true to his father’s vision and continues to surprise with new and exciting editions to the range of models in the JOWISSA portfolio. 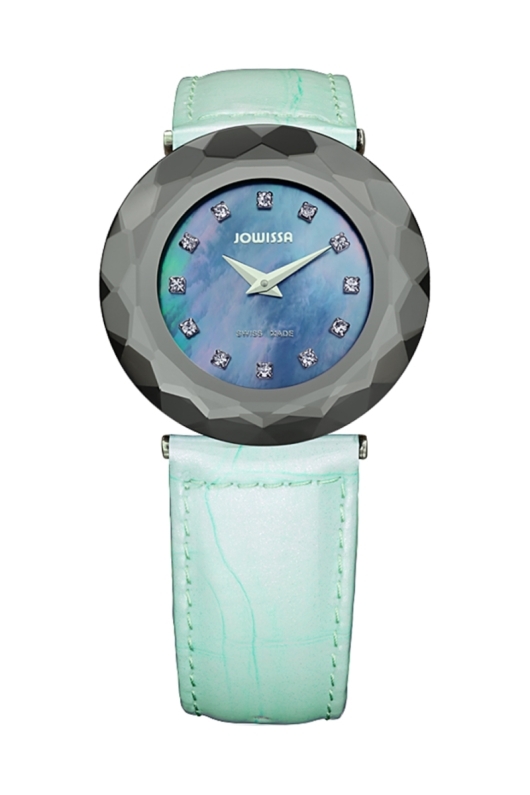 The Facet Watch Collection is particularly fetching, using an unusual design and combining a range of materials. 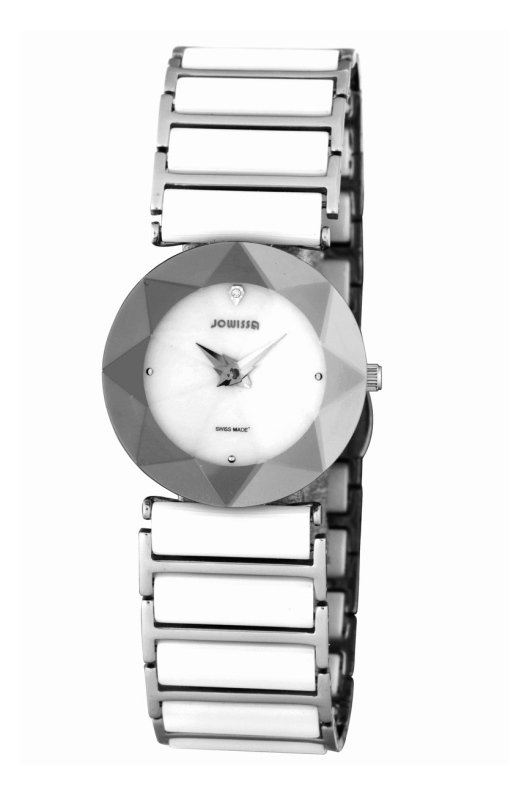 The round faceted stainless steel case of the Facet Watches surrounds a sunray-patterned round dial, making the composition look like a three-dimensional flower. 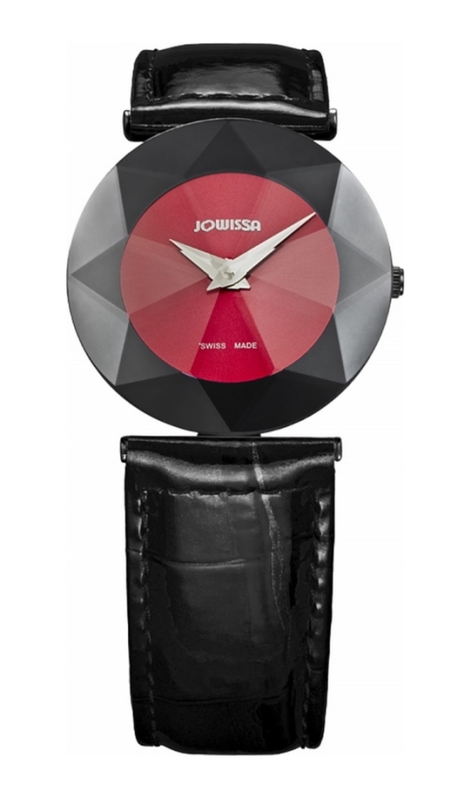 JOWISSA gets very creative with the dial palette of this collection, offering something to suit every taste. 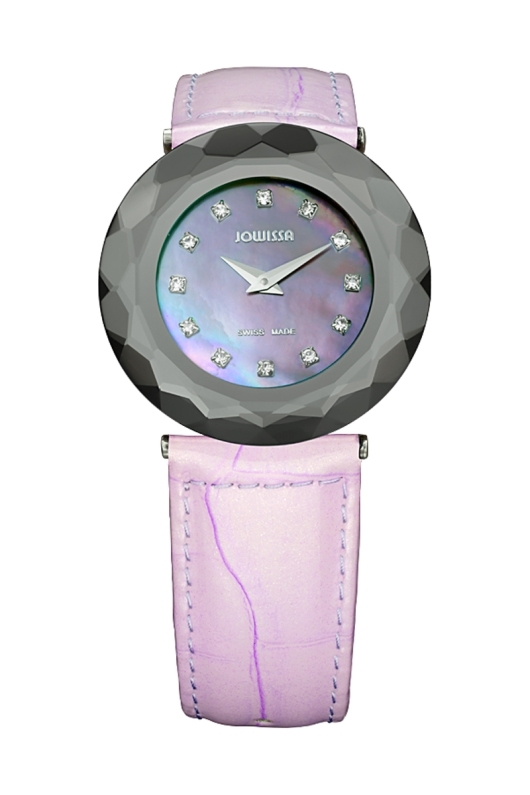 Some have colors such as purple, white, red, black, pink and blue, while others are adorned with mother of pearl. In addition to an array of colors and textures, some of the dials also have an assortment of embellishments including crystals and round markers on the outer circumference to mark the hours. 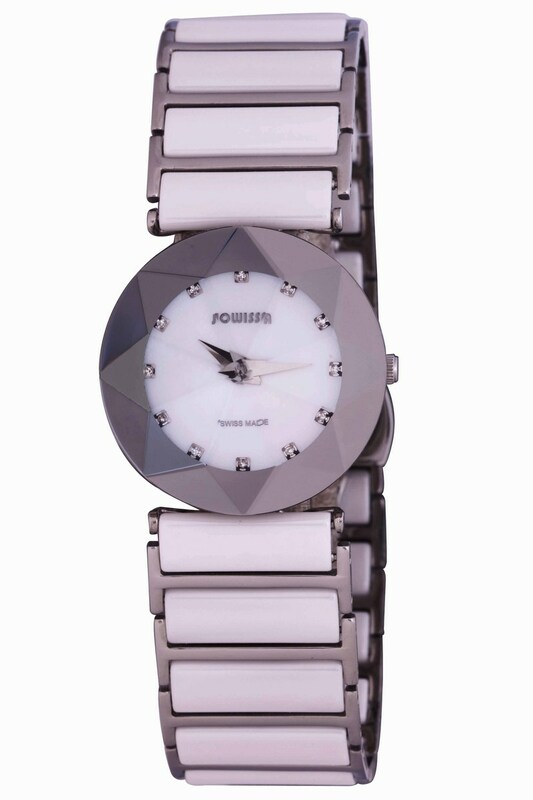 The hands in the Facet Watch collection aren’t just ordinary dauphin or pencil hands either, which might be expected, but are also faceted and resemble a lighting bolt. 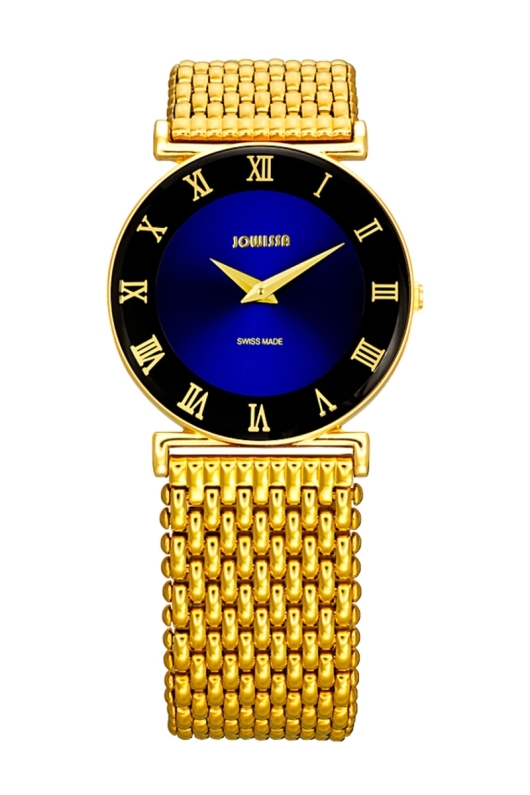 It’s a very artistic and progressive touch, adding an extra detail for the eye to admire. 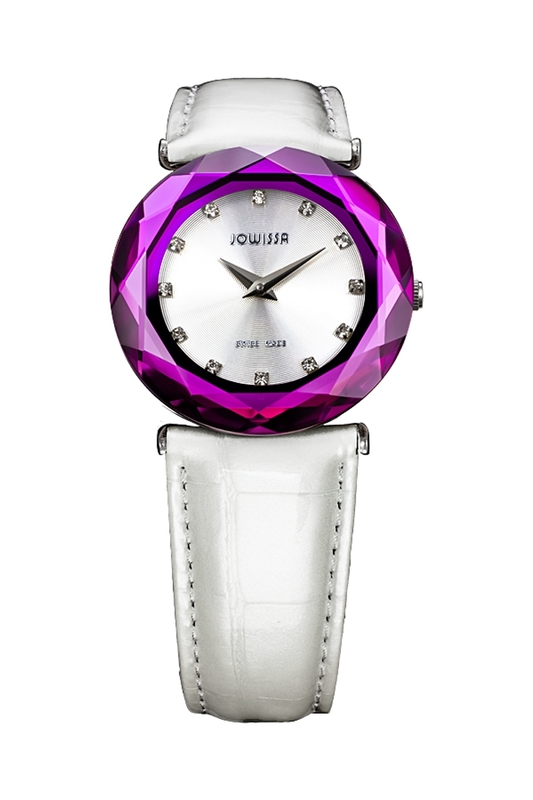 Even the cases of the Facet Collection come in a variety of sizes. 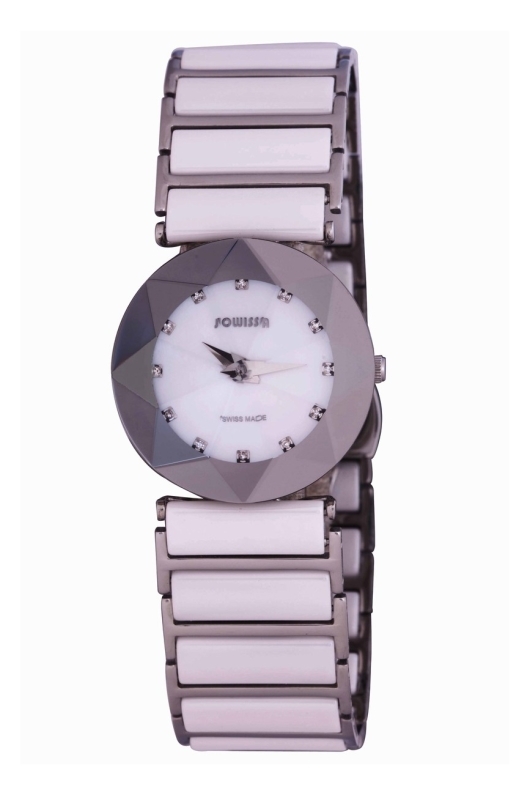 The 29 mm offers the most combinations of colors and styles to choose from. 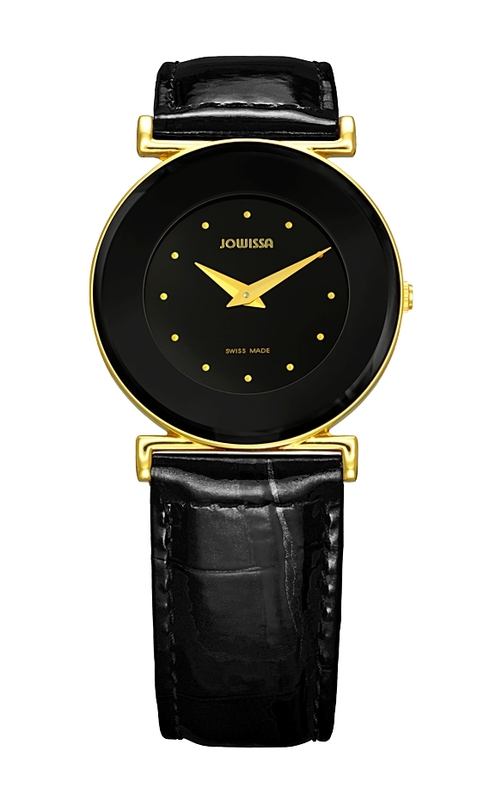 But there is also a mid-size 31 mm case option with a black PVD coated stainless steel mesh bracelet and a larger 36 mm with a date at 3 o’clock on a white calfskin strap. Other calfskin bands with leather with tang and buckle are offered in a variety of colors, including white, black, grey, pink, purple, grey, orange and yellow. 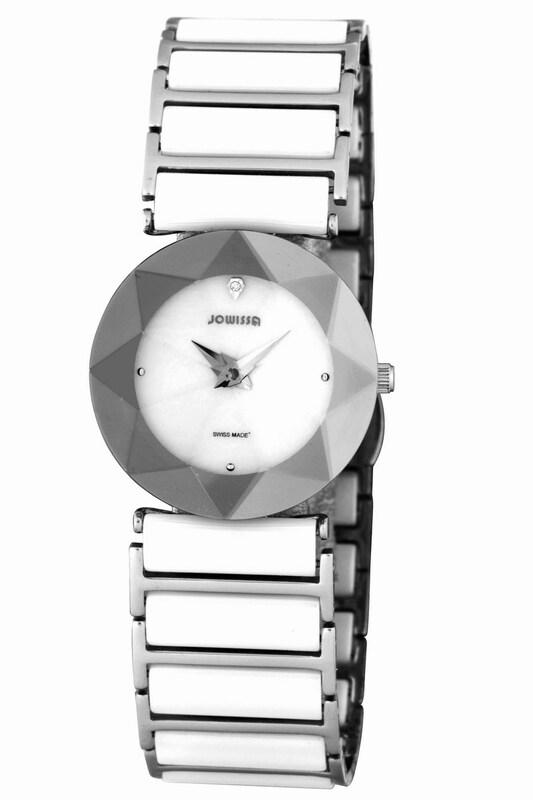 There is also a choice in stainless steel with a jewelry clasp and one in ceramic with a deployment closure. 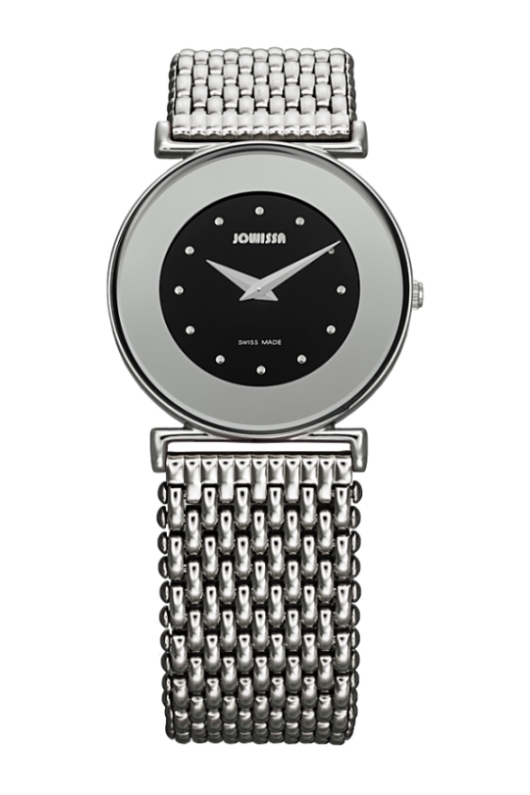 All timepieces in the Facet Watch Collection come with a dependable quartz movement — with the exception of the 36 mm size, which is powered by an automatic ETA movement — and the superb customer service and warranty that are part of every JOWISSA watch package.